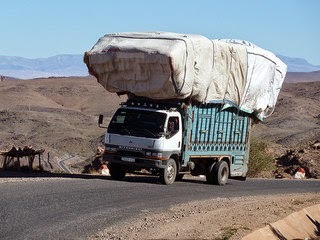 Africa has the highest per capita rate of road deaths in the world. Africa has 2% of the world's vehicles but 16% of road fatalities. It's Not Illness You Need To Worry About When In Africa, It's The Traffic; Nigeria and South Africa have the highest motor vehicle fatality rates in Africa. The estimated annual number of traffic related deaths in Africa is around 200,000, a figure that represents 16% of the global traffic deaths. This increase will see road fatalities overtake the number of malaria related deaths. Africa has 2% of the world's vehicles but 16% of road fatalities. With the highest per capita rate of road fatalities in the world, road deaths in sub-Saharan Africa are projected to more than double from some 243,000 deaths projected for 2015 to 514,000 by 2030. ﻿﻿﻿ Enforcement of road safety measures is in general weak across the African continent, pedestrians, cyclists and motorcyclists make up almost half of those killed on the roads. 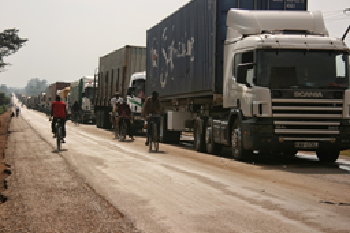 The East Africa Trade and Transport Facilitation Project (EATTFP) of Kenya, Great Lakes region of Rwanda, Tanzania, Uganda, and Burundi is an opportunity to improve and develop livability, productively, prosperity addressing the issue of significant transportation challenges in Africa. The East Africa Trade and Transport Facilitation Project will benefit Kenya, Rwanda, Tanzania, Uganda, and Burundi in the stability of the counties through the modernization of transportation infrastructure including roads and the removal of red-tape obstacles to trade. Working with the Ministry of Infrastructure Development, Ministry of Transport and Infrastructure, Ministry of Works and Transport, and Surface and Marine Transport Regulatory Authority, the EATTFP project is co-financed by the African Development fund and the World Bank. Approval Date of the project was January 24, 2006, the closing date September 30, 2015. The Total Project Cost in US dollars is around $281 million. The goal of the project is to promote trade, economic growth, and regional integration of the East African countries and enhance the competitiveness of their economies through the modernization of roads and motorway networks. “The transport sector can play an important role in achieving sustainable development,” says Marc Juhel, Director of the World Bank Transport Division. According to WHO African Region, Nigeria and South Africa have the highest fatality rates. Nigeria reports 33.7 percent of deaths per 100, 000 populations per year and South Africa and 31.9 percent of deaths per 100,000 populations per year. 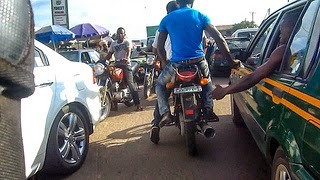 More than one in four deaths in the WHO African Region occurs on Nigeria’s roads. 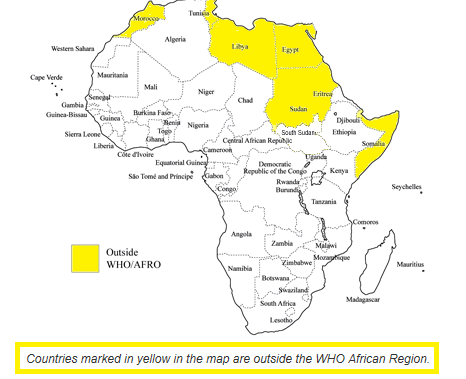 The Democratic Republic of Congo, Ethiopia, Kenya, Nigeria, South Africa, Tanzania, and Uganda, are responsible for the average 96.8% of all road deaths in the WHO African Region. Nigeria, South Africa, and Uganda combine big populations with very high fatality rates, resulting in large numbers of deaths. These seven countries must reduce their road deaths considerably if the WHO African Region is to realize a significant reduction in deaths.